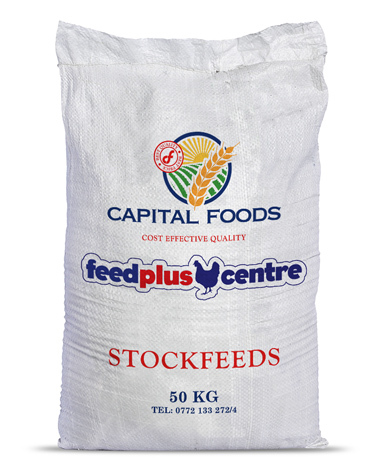 Mix with milled Maize in the ratio 2 Parts Concentrate to 3 Parts ground Maize by weight to obtain Pig Grower Finisher Meal. Use the mixed Meal to feed from day 71 of age up to slaughter. Consumption varies depending on slaughter stage, but should fall around 240 to 255 kg per pig.